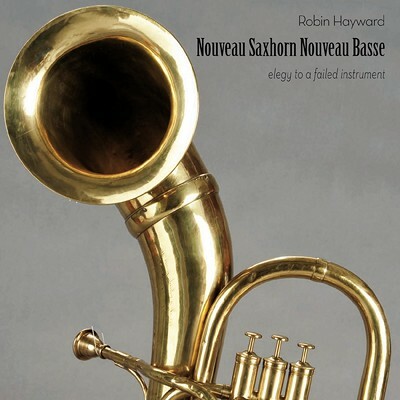 In 1852 Adolphe Sax developed a series of instruments he named the ‘Saxhorn nouveau basse’. The result of a radical rethinking of the valve system, each of the instrument’s six valves could only be used independently from the other valves. By avoiding valve combinations, each valve could be tuned to lower the pitch by a different tempered interval, enabling the player to play in tempered tuning. The instruments were unsuccessful. According to Sax’s contemporary, the acoustician and curator Victor Mahillon, this was due in part to the fact the air column passed twice through each valve, resulting in a dull tone. In 2009 I developed the first fully microtonal tuba together with the musical instrument manufacturers B&S. This instrument is also equipped with six valves, but now valve combinations are an integral part of the microtonal system. Inspired by Sax’s instruments, each valve is however only used independently in the piece Nouveau Saxhorn Nouveau Basse, leading to an undertone tuning based on the prime numbers 3, 5, 11, 13 and 17. Six loudspeakers are distributed throughout the performance space, assuming the role of the valves of the ‘Saxhorn nouveau basse’. The tones played using each of the different valves of the microtonal tuba travel from the first to a higher numbered loudspeaker and then back again, from where they are sent to the seventh loudspeaker, which is placed backstage and acts as a metaphor for the bell of the ‘Saxhorn nouveau basse’. Due to the routing between the loudspeakers, in which each intermediate stage is rerecorded, each tone’s timbre is gradually altered as it travels through the room and becomes increasingly mixed with the room acoustic – an analogy to the effect of the valves on the tone of Sax’s instruments. The piece could be seen as an elegy to Sax’s failed invention.